According to Gemalto, the world leader in digital security, in the first half of 2018, 945 data breaches were recorded which resulted in 4.5 billion data records being compromised. Total data breaches in 2018 are estimated to be more than 1100 plus cases. Most of these data breaches affected giant tech companies and other popular organization such as Marriot Starwood, Facebook, Google, Quora, MyFitnessPal and so many other companies. Generally, to say, at least a bigger percentage of the world’s population was affected by one of the breaches. According to the 2018 Data Breach Study by Ponemon, it’s estimated that the global average data breach cost is at $3.9 million, a 6% increase from 2017. 2017 was largely dominated by ransomware attacks with WannaCry and Not Petya getting much attention. 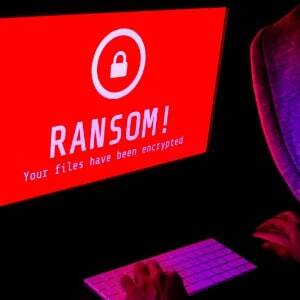 This prompted drastic countermeasures to be implemented, and in 2018, fewer ransomware attacks have been recorded. According to Kaspersky’s Ransomware report, Ransomware attacks and infections have decreased by 30%. Although this decrease in volume doesn’t mean there weren’t new infections. What’s been happening is that ransomware has been evolving and increasing in sophistication. A 46% increase in new ransomware variants was recorded last year. Emails still hold the greatest to threat to both individuals and companies’ security. This threat vector has been continually exploited by cybercriminals through spear phishing/phishing, scam, and spam campaigns to deliver malware and compromise company networks. Despite all measures being put in place year in year out, still, cybercriminals continue to wreak havoc in several email inboxes. According to a report by Email Security Trends 2018, 93% of all breaches included a phishing attack. Despite all technical measures put in place, email attacks still occurred and most of them originated from the human aspect as a resource. That’s, most employees are still not cyber-aware and need cybersecurity training. 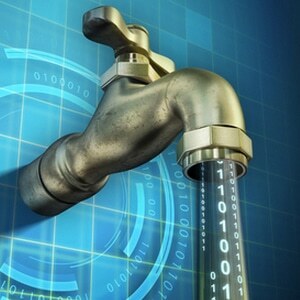 As the Internet of Things (IoT) continues to grow, so are their vulnerabilities. In 2018 alone, there were shocking attacks on smart devices, and also botnets affecting lots of smart devices across the globe were taken down. 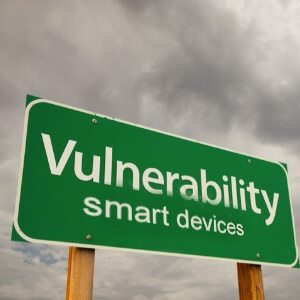 Despite the security concerns, smart devices and other IoTs are still at risks of several vulnerabilities as new hacks and malware continue to evolve. This is because most smart devices don’t get security patches in time, other companies don’t provide patches at all, and it’s had to protect hardware based IoTs. Security and privacy start with you. At the individual level, you need to protect your online activities and identity. This starts with taking care of your online security and digital privacy. The best approach is to use a VPN service such as IPBurger VPN. IPBurger VPN ensures your online security and privacy will never be compromised. This is because IPBurger VPN uses strong encryptions for security, keeps no logs, and has lots of secure, fast servers across the globe to mask your online identity. Additionally, IPBurger VPN helps you enjoy restricted online content by bypassing geo-restrictions and censorships. If you liked this... Then You'll Love These Too! A tech enthusiast interested in digital privacy and internet security.